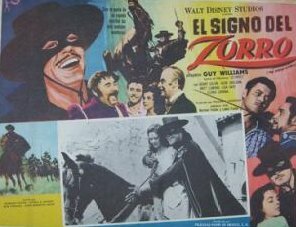 Released in Mexico are this official lobby cards for the featured film, "The Sign of Zorro" starring Guy Williams. 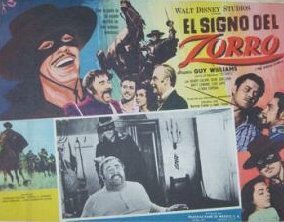 The lobby cards are made of cardboard, and measures 16.4" x 12.2". Super collectible items from the classic Walt Disneys series.